As with any stretch of Irish coast, the coast of Waterford, the adjacent eastwards county to Cork, provides a range of swimming environments from the sheltered estuary of the Suir and Nore rivers, to the long beach and bay of Tramore, home of one of Ireland’s oldest open water swimming clubs, Newtown and Guillamenes, to the eye-catching beauty of the unspoilt Copper Coast, and reaching past Dungarvan Bay and Clonea Strand to Ardmore Bay. 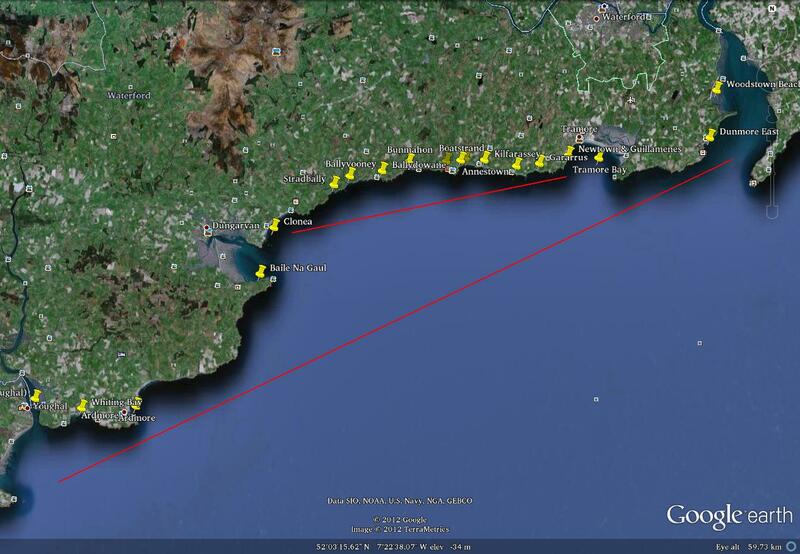 The longer straight red line is the whole Waterford Coast. The shorter red line above it is The Copper Coast. 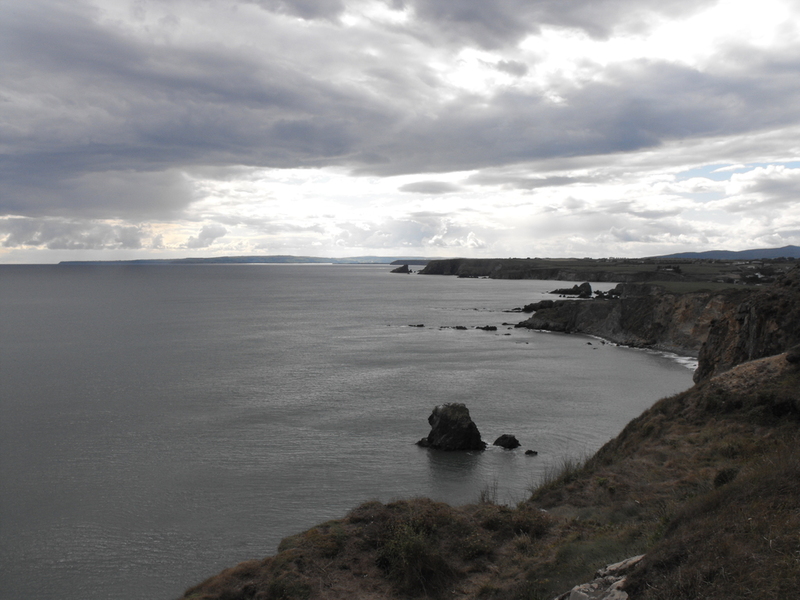 The Waterford coast faces mostly southward and occasionally slightly south-east. Winds are predominantly south-westerly making the waves and winds onshore. The area has a higher population of jellyfish of most varieties than the Cork Coast, though Lion’s Mane and Portuguese Man O’ War are rare. Whales and dolphins, occasional seals and even an odd basking (harmless but big) shark are all possible sights. 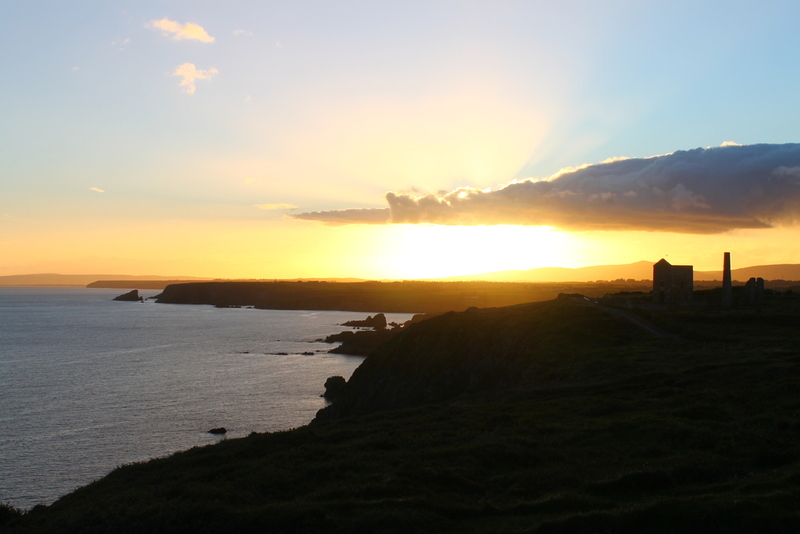 The Copper Coast itself has extremely clean water with no sizeable towns along the entire stretch, with the area from the well-known Metalman Pillars landmark to Annestown being the clearest and cleanest. The Suir Estuary at Woodstown Beach and Dunmore East, which is a busy fishing post and popular water sports recreation area, provide complete shelter from north-westerly though westerly to south-westerly winds. 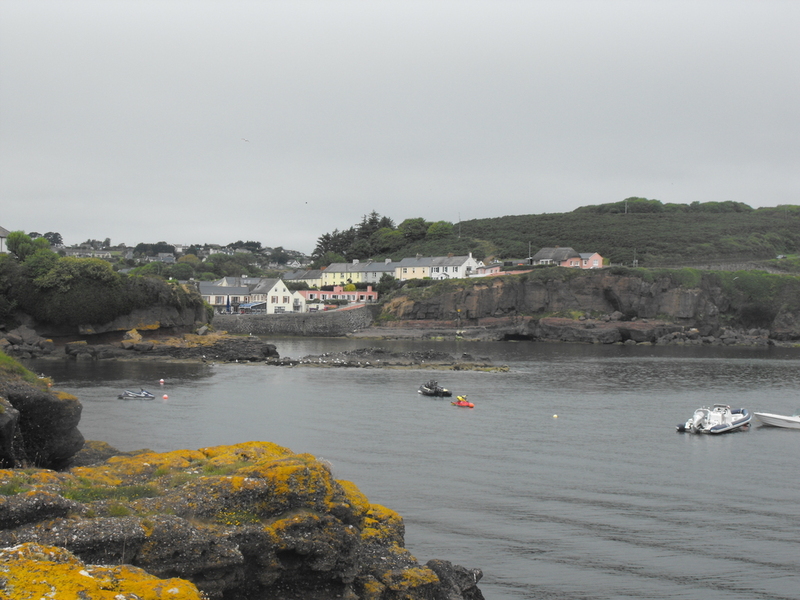 Dunmore East has a regular pod of triathletes intermingled with a few open water swimmers who swim regularly at the town’s small protected and popular strand, with forays along the coast under the cliffs toward the fishing harbour. Both areas are sheltered even in big Atlantic storms, with the biggest westerly storms sending offshore swells up the estuary. Both however are to be avoided during or just after the rarer south-easterly storms. During south-easterly storms nowhere on the Waterford coast is safe to swim. 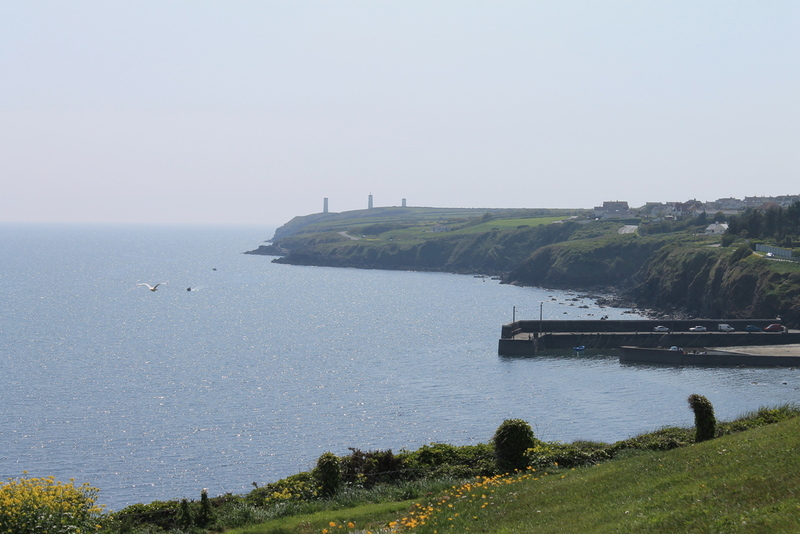 Between Dunmore East And Tramore Bay are a couple of tiny picturesque Coves such as Portally. These are highly tide dependent and only experienced swimmers should leave the confines of the coves. 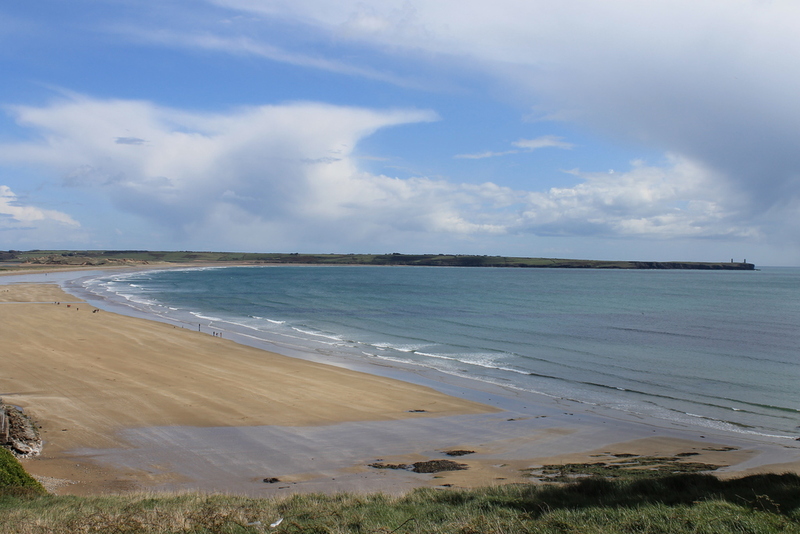 Tramore Bay itself is bordered to landward by the almost 5 kilometre-long strand (Trá Mor means long beach) of Tramore Town. Brownstown Head is the easterly point of the bay while the west end of the bay is at Newtown Head and the well-known Metalman Pillars. The bay is relatively shallow and the beach is safe along all of its length. 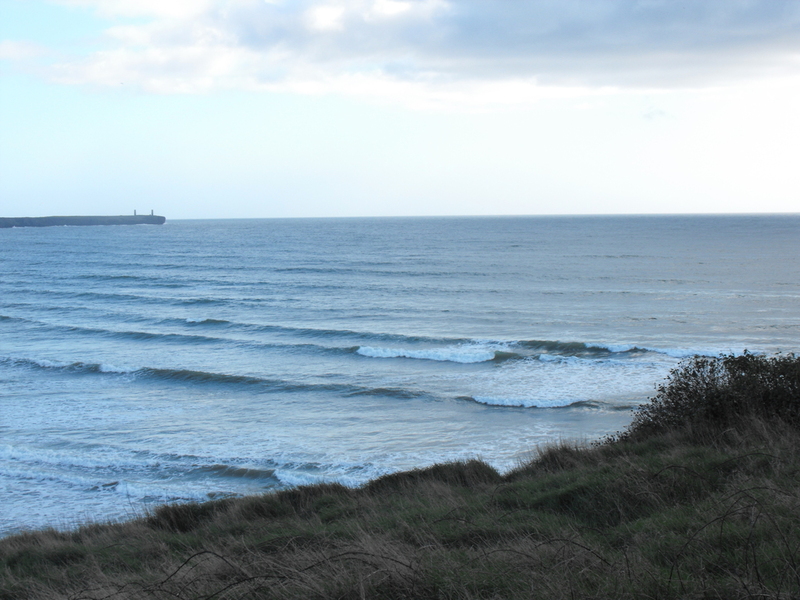 Tramore is a popular surfing beach with the majority of surfers confined to Pebble Beach, just beyond the end of the promenade. Weaver fish can be a problem in the intertidal area during the summer months. 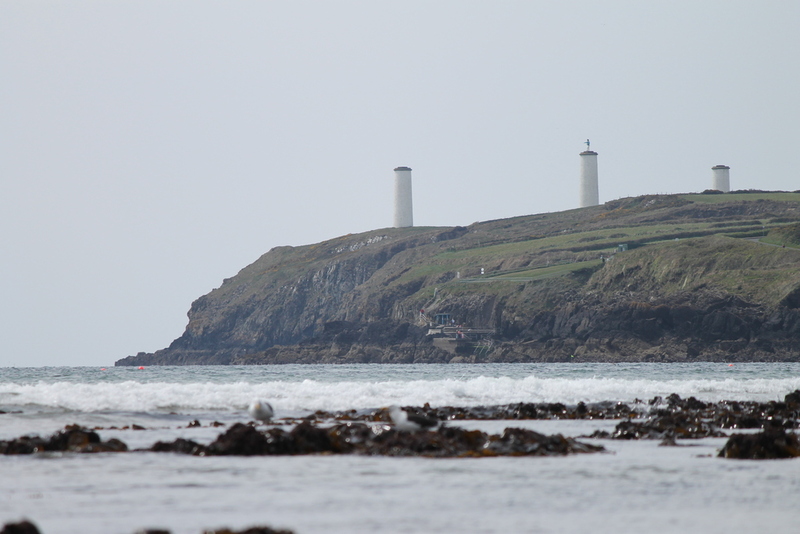 Newtown head, Metalman & Guillamenes from Tramore beach. The Newtown & Guillamenes Swimming club is located on the west side of the bay, about 2 kilometres by road from the beach, and about 1.2 kilometres by sea inside Newtown Head. There are two tiny coves about 200 metres apart. The club has been in operation since 1932 and many of the members swim daily year-round regardless of temperature. The area is maintained to a very high standard by the club and the local council with car-parking and picnic facilities and is popular with tourists enjoying the view. 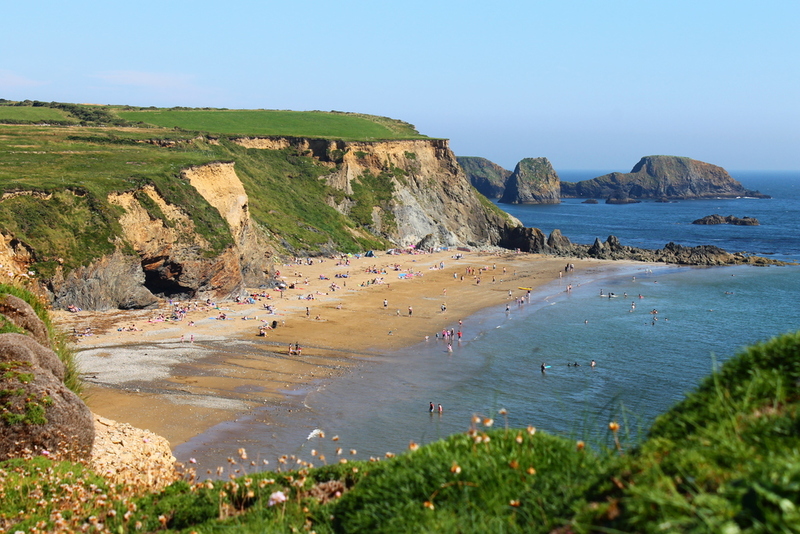 Both coves are safe for swimming and longer swims along the side of the bay are possible at all tides as the water is sufficiently deep. However, as with all locations, you should carefully watch the water before entering as the exit is up steps and ladders and maybe unsafe in larger swell. 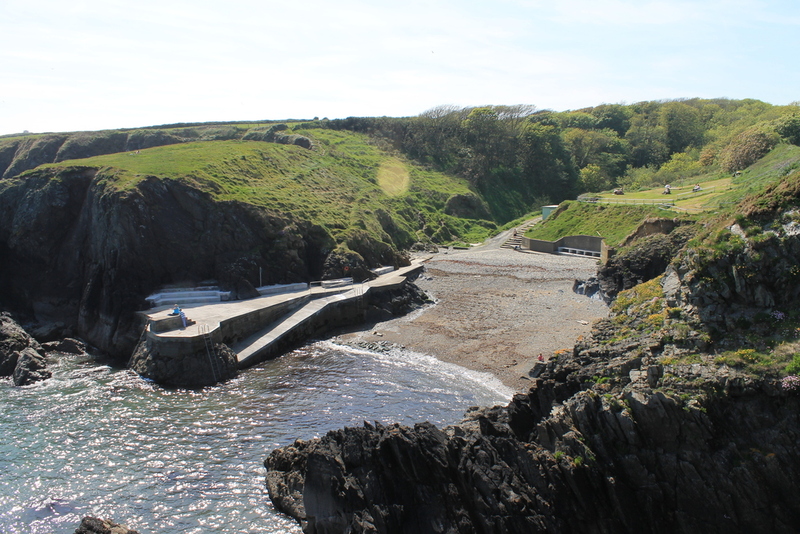 The coves are part of local summer life for all ages and are highly welcoming. Most swimming takes place from the outside Guillamenes Cove where there is a diving board in place during summer months. Inward from the Guillamenes is Tramore Pier, which is occasionally used by local swimmers when large waves stop water access at any other point. Waterford’s Copper Coast, named for the Copper Mines of the 18th and 19th Century which dot the cliff-tops around Bunmahon, stretches for 30 kilometres from Tramore Bay to the east end of Clonea Beach outside Dungarvan. Its high (and dangerous due to slippage) old Red Sandstone cliffs and spectacular views are dotted at regular intervals by small coves and beaches and provide the range of stacks, arches and caves which make exploring the Copper Coast such a treat. Gararrus and Kilfarassey and the first two and both feature some spectacular swim locations that are not obvious to a casual swimmer, which includes sea arches, stack and even caves. I’ve swum the entire Copper Coast (not to mention a lot of the rest of Waterford Coast, detailed information about every location on my blog) and I’m always happy to advise or even guide swimmers around some of the best of the Copper Coast locations. West of Kilfarassey are Annestown beach and Benvoy and Boatstrand which are swimmable only above mid-tide. Swimming from the access points of Dunabrattin head, on which Boatstrand is located, is not recommended due tot strong and changeable currents. Next is Kilmurrin’s tiny horseshoe cove, which should only be swum at high tide and swimmers should exercise great caution at the cove mouth due to strong currents. On the far side of the stunning view at the Cornish Pump House ruins, is Bunmahon, popular with experienced surfer for its strong steep waves. 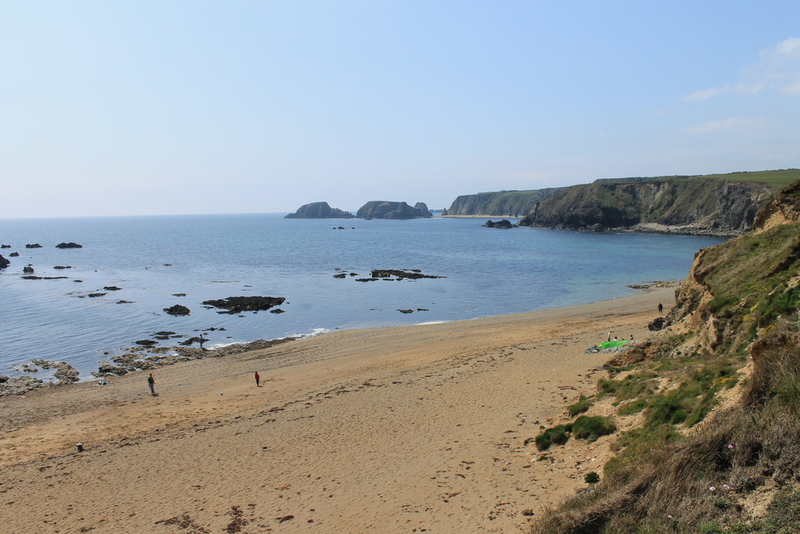 Bunmahon is the most dangerous beach for inexperienced swimmers on the Waterford Coast and has unfortunately been the site of a few drownings. Great care should be taken when wave heights are up. Beyond Bunmahon is Ballydowane, a secluded and lovely half-moon cove surrounded by high cliffs and generally only visited by locals (as is the case with some of the other locations such as Gararrus) and entirely safe and next is Ballyvooney, not so much a cove as an access point with nothing notable to recommend it to swimmers. 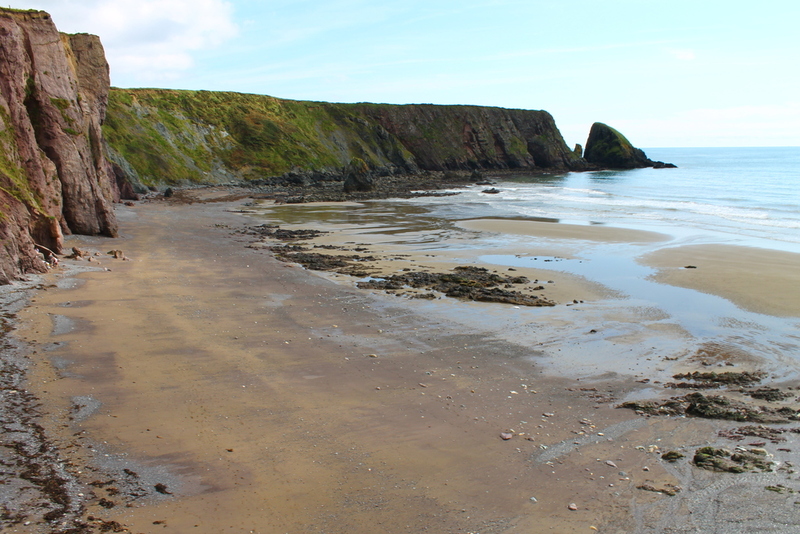 The final location on this stretch of coast before the inaccessible lump of Ballyvoyle Head separates it from Clonea is Stradbally, a picturesque scenic village and big flat beach, but a fairly small cove. Beyond Ballyvoyle Head the three kilometre long strand of Clonea stretches west almost as far as Ballinacourtey Lighthouse. There are regular open water swimmers in Dungarvan during spring and summer months. The beach is best swimmable from a couple of hours above low tide, it is possible to swim east from the usual starting location in front of the Armada Hotel. There are however hidden rocks below the tide line at any tide directly in front of the car park. The strand is exposed to all southerly wind directions and also to North easterly winds which can cause some chop. Due to exposed reefs it’s generally only possible to swim west to Ballinacourtey from about two hours on either side of high tide. 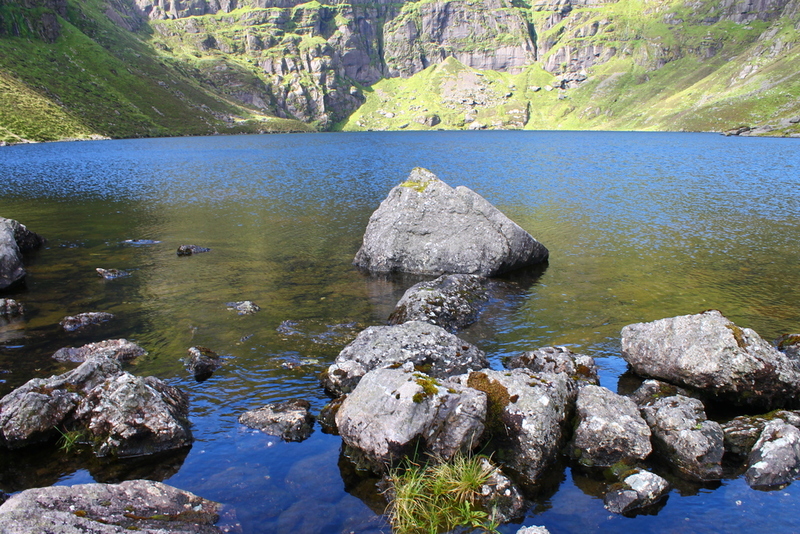 Swimming out to the visible rock of Carricknamoan is not recommended except by the strongest of swimmers as the sea before it is prone to very strong eddy currents. Once past Ballinacourtey, Dungarvan Bay itself is generally not swum because of high marine traffic, until you reach the beach of Baile na Gaul at the far west side of the cove. 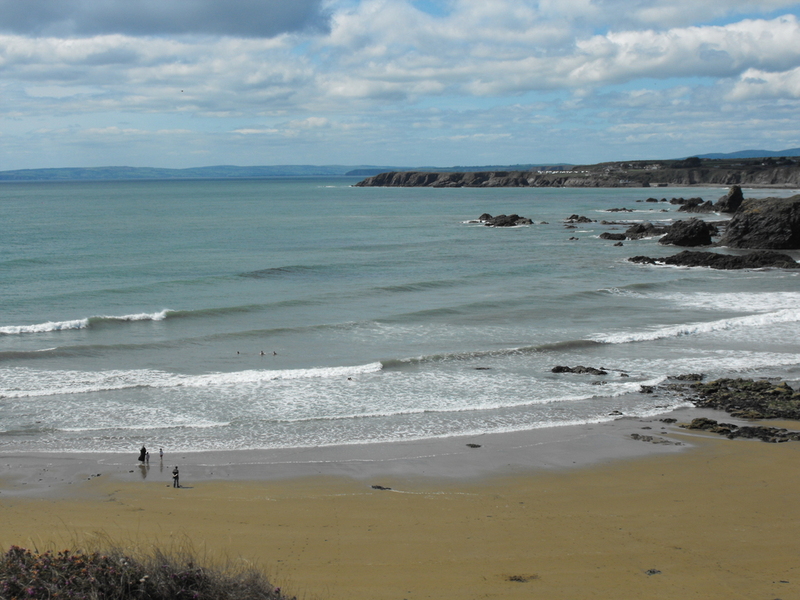 This gritty beach is also best swim from about two hours above low tide or it is a long walk to sufficient depth. The only real path here is to swim south toward Helvick Harbour, about a mile away, though it should be noted there’s a sewage outlet about 200 metres before Helvick. This location is protected on westerly and south-westerlies, but is exposed to east, north and north-easterly winds. Beyond Dungarvan bay, swim locations almost disappear with Ardmore Bay being the next location, the coast in between being all high cliffs, with Mine Head, Ireland’s highest lighthouse, about halfway between Helvick Head and Ardmore bay.. Though the village itself is very pretty, and the west side of the bay sheltered from westerly winds, the water quality is suspect due to lack of proper sewage treatment facilities. 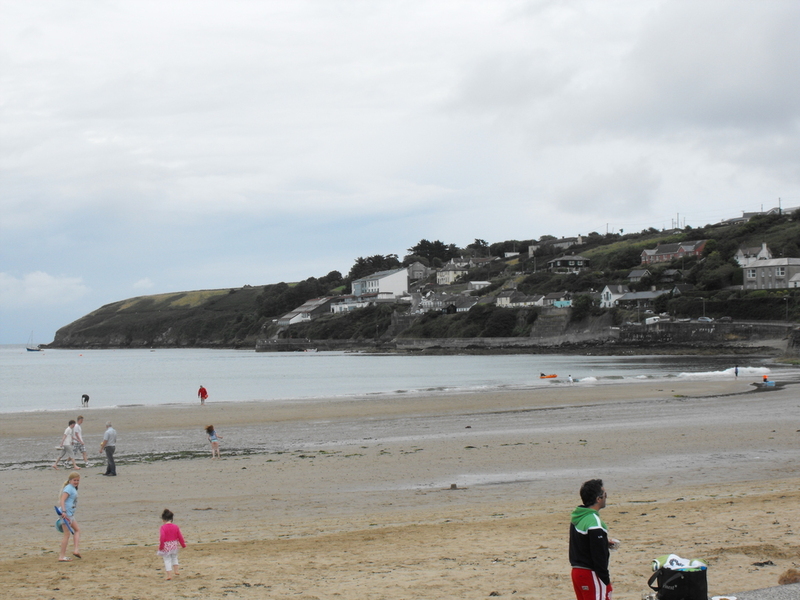 The last real swimming location before the town and bay of Youghal is Whiting Bay, a lovely 1 to 1.5 kilometre long but not well-sheltered sandy cove which is again best swum above mid-tide, when swimming west produces the best and most interesting swims as you swim through and above the submerged reefs. 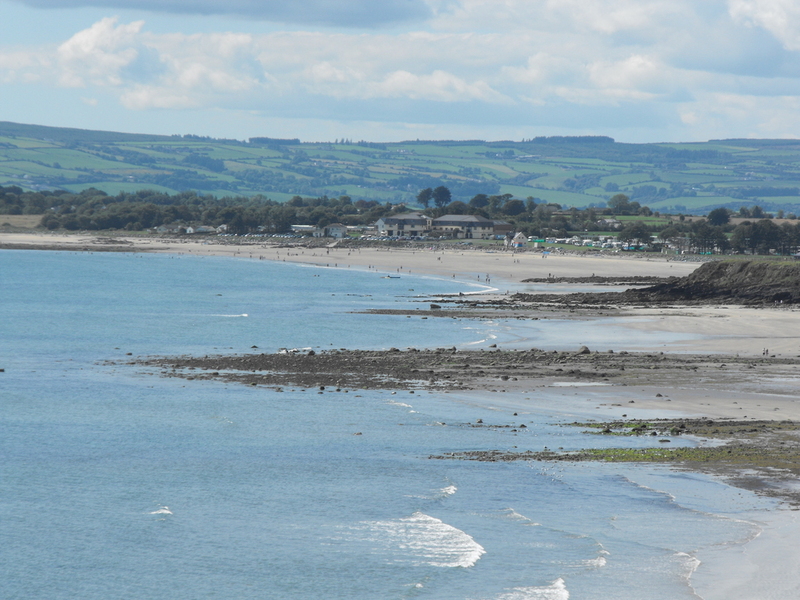 The Waterford coast ends in Youghal Bay, which is almost never swum because of high tidal pull in the Blackwater Estuary and because of repeated problems with the water quality from the town’s outflows. 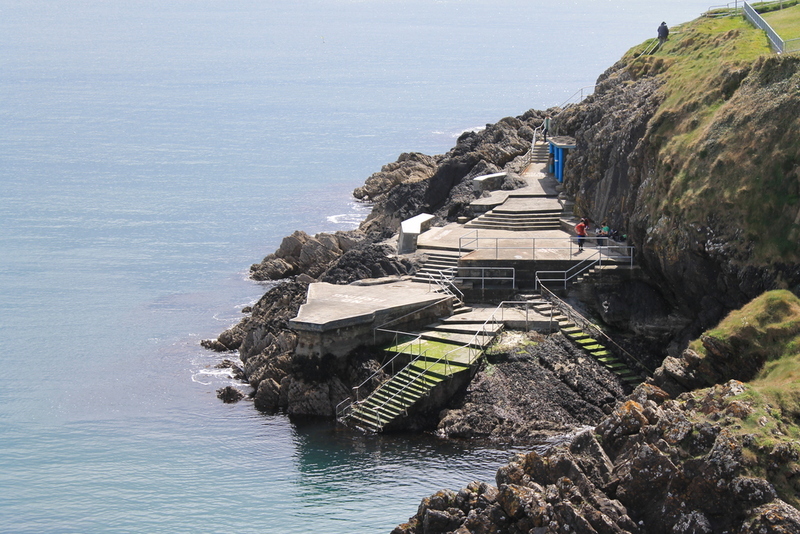 The Waterford Coast and the Copper Coast therefore offer a range of rarely-swum but highly enjoyable and rewarding swim location, especially for those who seek some new swim experiences such as arch or cave swimming.